What is the difference between QR codes and bar codes? Quick response codes, commonly known as QR codes are two dimensional bar codes. These codes came into existence in the mid-90s when they were being used in Japan to track car parts in factories. Quick response codes or QR codes share some similarity with barcodes. Both types of codes can store information and they need to be scanned for the information to be revealed. However, these codes have some differences too. The difference between bar codes and quick response codes is that QR codes are two dimensional while bar codes are one dimensional. Since QR codes are two dimensional, they have the ability of storing more data than bar codes can store. As mentioned above QR codes were invented in the 90s, in Japan. They were used to track cars and there was little one could do with these codes at that time. 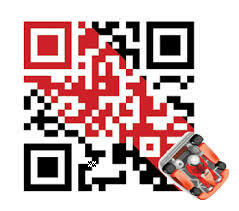 These days, it is possible to do so much more with QR codes other than use them for tracking inventory. Over the years, people have found more uses for the QR codes. Business owners are now using QR codes as a form of marketing. Basic QR codes – these are the simplest types of QR codes. After designing the pattern, you can link it to an email address, a standard page URL, a vCard or a phone number. Custom QR codes – this type of QR code gives you the chance to modify the look of your QR code to what exactly you want. You can have it will match the identity of your brand. With this type of codes, you can be able to adjust the colors and add an image or a text message. Branded QR codes – this type of QR codes are similar to custom QR codes. The only difference is that branded QR codes have an image or a logo inserted within the bar code. This is a good and very powerful way to include your branding in a QR campaign. Creating a QR code is now an easy task, thanks to QR code generators. Following the simple steps and instructions given on the QR code generators pages and entering the type of information that you want to be included in the QR code, making a QR code is as easy as pressing the ‘create QR code’ button. Once your QR code is created, you can test it and avail it to your target market.